The intended use of the ReCIVA-RD Breath Sampler is to collect samples of volatile organic compounds (VOCs) present in exhaled breath for subsequent laboratory analysis. The device is intended for use by operators with study subjects aged 5 years or older who can understand and act on instructions from the operating professional. It is only for use with the CASPER-RD Portable Air Supply. It is supplied only on a professional business-to-business basis for the purpose of research and development. It is essential that this instruction manual be read and understood before commencing any work with ReCIVA-RD Breath Sampler. Read and understand the various precautionary notes and symbols contained inside this manual pertaining to the safe use and operation of this product before using it. Using the ReCIVA-RD Breath Sampler system in a way that is not specified in this manual could be harmful to health of the operator and co-workers. It is recommended that use of ReCIVA-RD Breath Sampler should be supervised by a medical professional trained to use the device. It is the responsibility of the person carrying out the research to monitor the subject’s wellbeing at all times while using the ReCIVA-RD Breath Sampler. ReCIVA-RD Breath Sampler does not monitor the health of the study subject during sampling. If there is any doubt about the health or wellbeing of the study subject then the breath collection should be stopped immediately. We advise monitoring of the breathing frequency of the study subject throughout the breath collection. Wear clean nitrile examination gloves when handling ReCIVA Breath Sampler and the Breath Biopsy Mask assembly; chemicals from your hands can affect the results and may lead to cross contamination. Do not use the mask if the packaging is damaged or the vacuum seal broken. Run ReCIVA-RD Breath Sampler on a USB3 port on the laptop/PC. It will not run on a USB1 or USB2 port as these do not provide sufficient electrical current. The Breath Sampler is specifically not to be used on subjects who have undergone biopsy of lung parenchyma within the last 36 hours. 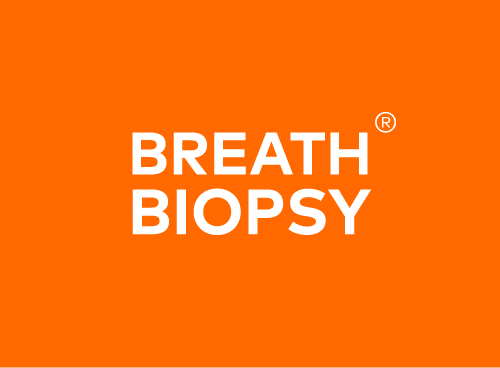 The ReCIVA-RD Breath Sampler is usually bought in conjunction with the Breath Biopsy Support Pack, and therefore a laptop is provided with the software preloaded onto it, ready for use. Go to the LabVIEW Runtime 2012 folder and run setup.exe accepting all the standard options. Go to the HDF5 installer folder and run the HDF5 installer. This is used to write the ReCIVA Breath Sampler log files in HDF5 (hierarchical data format). Go to the Breath Sampler Controller folder, select the Volume subfolder and run setup.exe. The computer must be rebooted once the installation is complete. Once the computer has rebooted, run Breath Sampler Controller once as administrator (right click the Breath Sampler Controller icon in the start menu and select Run as Administrator). Go to c:\program files (x86)\breath sampler controller and check the security permissions on the file samplersettings.ini. If the user permissions aren’t as shown for Users below click edit and set them. Without these set the system will not allow you to store settings. The non-return valve ensures that the study subject breathes air supplied by CASPER-RD portable air supply and excess exhaled air not collected onto the sorbent tubes is exhausted into the room. This minimizes contamination of your breath samples from VOCs present in ambient room air. ReCIVA-RD Breath Sampler comes with an additional 5 spare valves, if required and additional valves can be ordered from Owlstone Medical Ltd (part number 50-1229). The valves are shipped in cardboard tube packaging, which needs to be disposed of before the valve is fitted. When inserting the valve into the ReCIVA-RD, ensure the clear film is on the outside so that it can open outwards. The mask and sorbent tube assemblies are provided as part of our Breath Biopsy Kits. Instructions on how to fit these into the ReCIVA-RD Breath Sampler are provided in the User Guide which comes with each kit. Once correctly installed, the ReCIVA-RD Breath Sampler is ready for use. Connect the air supply tubing from the CASPER-RD Portable Air Supply into the port on the side of the unit. Switch on the CASPER-RD. This gives the CO2 sensor in ReCIVA-RD Breath Sampler time to equilibrate and flushes it with air ready to take a breath sample. Connect the ReCIVA-RD Breath Sampler to the laptop/PC with the USB cable. The USB connector can be found on the base of the ReCIVA-RD. Move the straps up if the mask is falling away from the bridge of the study subject’s nose. Move the straps down if the mask is coming away at the bottom of the mask. To run a breath collection click Start, select theBreath sampler controller folder and click on BSC. This will launch the breath collection software. Give the ReCIVA-RD Breath Sampler to the study subject and allow them to breathe through it without putting on the head strap, giving them time to get used to the unit and get comfortable with it. Ask them to breathe normally and check that they are comfortable doing this. Check that the non-return valve on the rear of the ReCIVA-RD Breath Sampler is opening as the study subject breathes, to vent any excess air. The valve should be replaced if it is no longer opening freely. Note: most study subjects need the head strap almost at the top of the ReCIVA-RD Breath Sampler attachment points. In addition to the head strap, the study subject may hold the ReCIVA-RD Breath Sampler during the breath collection if they wish, taking care not to cover the exhaust ports on the bottom of the unit with their fingers. During the breath collection, remind the study subject to breathe normally; slower, comfortable breaths are more effective than rapid breathing patterns. Continue to monitor the subject to ensure that they are not distressed. If the study subject appears distressed remove the ReCIVA-RD Breath Sampler immediately. The study subject may subsequently re-continue the breath collection if they wish to. Note: The study subject may talk during the breath collection. However, talking will slow the collection down so it is preferable to request that study subjects remain silent during the breath collection. 8. During the breath collection the display on the right shows the proportion of the collection that has been done. The two lights show when the collection pumps are on or off (light blue on, dark blue off). The unit also displays the collection time and the study subject’s breathing rate. 9. When the collection is complete the message box will show Collect Complete and the collection bar will flash blue and green. Remove ReCIVA-RD Breath Sampler from the study subject and then close the software by clicking the red X. Having removed the ReCIVA-RD Breath Sampler from the study subject, detach and dispose of the mask assembly as clinical waste. Carefully remove the sorbent tube assembly for analysis (see Breath Biopsy kit User Guide for instructions on how to return sorbent tubes to Owlstone Medical). If the ReCIVA-RD Breath Sampler is not to be used again that day, wipe down all its surfaces with a chlorhexidine cleaning wipe and allow to dry thoroughly. For storage return the ReCIVA-RD Breath Sampler (and the USB lead) to its shipping case, making sure to put the ReCIVA-RD Breath Sampler back in its storage bag. ReCIVA-RD Breath Sampler must be allowed to dry thoroughly between being wiped down with a chlorhexidine cleaning wipe and being used on another study subject; Any fumes from the wipe will invalidate the next study subject collection. ReCIVA-RD Breath Sampler does not contain any user serviceable parts. All servicing must be carried out by Owlstone Medical Ltd. Do not disassemble any of the individual system components. If you encounter any problems with the equipment or this procedure please contact Owlstone Medical Ltd immediately using the contact details below. Water has condensed in the sensor, leave ReCIVA-RD Breath Sampler with the CASPER-RD Portable Air Supply running and allow time for the sensor to warm up before using again. Note that this does not affect the running of the breath collection. Lower the head strap hooks. Unplug ReCIVA-RD Breath Sampler, close software, run Breath Sampler Controller from the Windows start menu. This is OK – remove the ReCIVA-RD Breath Sampler from the study subject, let them have a break and then put ReCIVA-RD Breath Sampler back on. The sampling will pause when ReCIVA-RD Breath Sampler is not on the study subject. Adjust the mask until comfortable for the study subject. Direct contact should be minimised where possible, but does not pose a problem for sample collection. Windows file permissions are not set correctly in the file samplersettings.ini; contact Owlstone Medical for help to fix this problem. The hdf5 libraries are not installed. Please run the hdf5 library installer from the supplied software. Check that the ReCIVA-RD Breath Sampler is securely connected to the laptop/PC. This Product has been designed and manufactured with high quality materials and components, which can be recycled and reused. As a responsible manufacturer Owlstone Medical Ltd has chosen to voluntarily adhere to the European Union's Waste Electrical & Electronic Equipment (WEEE) Directive 2002/96/EC guidelines for this product so it should not be disposed of in normal waste. Please consult Owlstone Medical Ltd for details of our recycling and disposal program for this product. For users outside the European Union consult local authorities for correct disposal or contact Owlstone Medical Ltd.
ReCIVA-RD Breath Sampler can be configured to collect different portions of breath as described above. The choice of breath will vary from application to application. Below are the Owlstone Medical Ltd standard collection settings. They are provided here as a guide only. ReCIVA-RD Breath Sampler has two pumps that can be configured independently. Pump A is on the study subject’s left and Pump B on the study subject’s right when they are wearing ReCIVA-RD Breath Sampler. To adjust the breath sampling parameters, click on the spot (bottom left corner) to bring up the menu and click on Collection Settings. ReCIVA-RD Breath Sampler also allows you to select for each pump the collection rate, the collection volume and which portion of the study subject’s breath to collect. These breath portions are based on the mask pressure, and should be used as a systematic guide as to the origin of the breath (some mixing within airways will occur). Please contact Owlstone Medical if you are in any doubt about the collection settings that you require. There is also an advanced options screen to provide fine adjustment of the collection parameters. Please contact Owlstone Medical before using any of these settings.